The world of finance is changing, or rather it has to, if the middle class has any chance of survival in the long term. That’s the message that Phin Upham and other leading economists are trying to get across. People within the higher income brackets manage finances in a very different way than those in the lower classes, and banks aren’t able to offer those customers what they need. That’s leaving a sizable chunk of the American public completely ill-serviced by banks and financial institutions. The solution might be increased investment in FinTech. Legislation isn’t the problem, interpretation may be. Banks have to keep a certain amount of capital on their balance sheets in order to protect against another financial meltdown. This legislation is well-meaning, but the effects are unintended. Banks became frugal, instead of investing more in individuals and small businesses. Smaller startups, better equipped to adapt to customer demands and release products quickly, are now playing an important role in the world of FinTech. This isn’t the average digital wallet concept, these applications are handling smaller loans for individuals and helping people stay current with their finances. One of the major takeaways Phin Upham offers is that poor people pay considerably more for the same services used by those who are well off. Without up to the minute access to finances, and the opportunity to grow, the middle class will continue to shrink into obscurity. FinTech needs investment in order to create a sandbox environment, where new ideas can be tested safely and given the chance to grow. Saving early as possible for retirement is one key to a financial success during retirement. But many wonder how much to save each month. Generally many Americans are not prepared for retirement and do not have enough savings to handle their financial needs when they retire. During retirement unexpected events such as hospitalization could happen that may create a burden on your retirement savings. Many of us are very well aware that in retirement our monthly income is going to go down compared to what we earned while working. Some manage to payoff big ticket items such as mortgage prior to retirement but many American still carry a mortgage going into retirement. 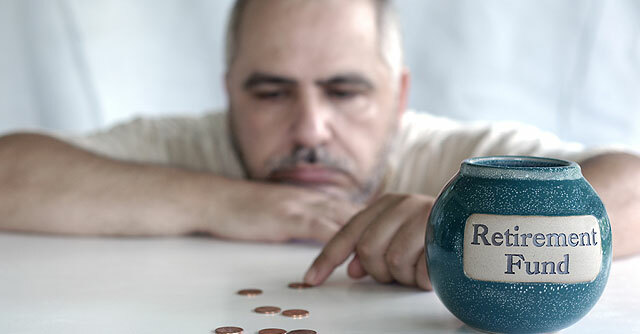 One published report indicates that only 37.5 percent of the poorest group had $1,600 that they needed in retirement and 62.5 percent of middle income earners had $4,800 they needed each month. Many of these groups needed to take debt in retirement in order to cover the shortfall. This is why saving for retirement as early as possible is critical. How much to save depends on each individual’s income and many other factors. Saving as much as possible after paying all monthly bills as well as saving early as possible is two important factors. Time limits to pay back most debt in the United States are governed by the law including the Fair Credit Reporting Act. Length of time for negative debt information to remain on your credit report is one major area that the law applies. As a rule of thumb, most negative debt records can stay on your credit report for seven years according to statute of limitations for most debt. Some negative debt has lesser time horizon but they can still appear on your credit report pass the statute of limitations. Statute of limitations to collect a delinquent consumer debt such as store credit card debt is four years. Unfortunately, due to the Fair Credit Reporting Act, that delinquent debt can stay in your credit report for seven years impacting your FICO score. This is why it is important to regularly check your credit report. Some state laws may bring a different twist to these time limitations and therefore, it is a good idea to see how local laws may modify time limitations. Be aware that if you make a payment on a collection debt for any reason, it starts new statute of limitations to collect the entire amount you owe. If you watch a lot of nature documentaries, you will inevitably come across scenes of something dying alone in the wilderness or getting caught by a predator. The camera crew merely captures this moment while a detached voice narrates the romanticized version of that struggle. The death is simply part of nature, but some of have begun questioning the morality of these camera crews. Should they not intervene? We tend to think of philanthropy as a purely financial act these days. We give to breast cancer or Alzheimer’s charities hoping that our donations will lead to some good in the world. But philanthropy extends to everything we do, including those camera people out there in the wilderness. For these reasons, calling philanthropy a purely moral act is not something easy to defend. If giving is right, is not giving wrong? Are you complicit in a wrongful act because you are not on the ice trying to save that little penguin from its inevitable doom? It’s certainly possible, but Buddhism teaches us suffering is inevitable. Are we guilty of the suffering of others, even if we had no hand in their situation? This debate is a large part of what fuels our democracy today, and determines where taxpayer money ultimately goes. Plus, we may not have the effect we intend. What if saving this penguin causes someone else (who was also trying to save the penguin) some unintended harm? There are both good and bad reasons to do something as there are to do nothing. Samuel Phineas Uphamis an investor from NYC and SF. You may contact Phin on his Samual Phineas Upham website or Twitter page. Saving for retirement should start as early as possible in your career. It’s January and it is the start of the year and a good time to think and start planning for your retirement. There are many vehicles that you can take advantage of saving for your retirement. Many think that you just can’t solely rely on Social security to provide all the money you need in retirement. Even with a pension plan, you may be better served if you save using many of the retirement vehicles available to you. 401(k), 457 (for certain public sector employees), 401(a) and 403(b) for non-profit and teachers are some of the options available to save for retirement. These plans are offered by your employer and there is a yearly contribution limit for each. Some for-profit companies match your contribution to 401(k) plans. Many types of IRAs are also available for saving for retirement. SEP IRA for self-employed, Simple IRA for smaller employers, regular IRA and Roth IRA are some of IRA vehicles available for retirement savings. As we get older, our healthcare needs require more funds. So, don’t forget to make use of Health Savings Plans that are available to save for medical expenses in retirement. Secured and unsecured debt, which one to pay off first? We carry all kinds of debt including credit card debt, mortgage debt, car loans, student loan debt, store card debt and many more. Some of this debt such as car loan and mortgage is secured debt while others such as credit card debt are unsecured debt. We all want to get out of debt as quickly as possible but due to other limitations such limited income it takes time. With more and more open credit lines, it is hard for many to see which debt to pay first. Unsecured loans come with higher interest rates because of default risk that the lender has to take. Secured loans on the other hand come with lower interest rate, but if you default on the loan your asset that is collateralized for the loan is at risk of losing. So, when planning to reduce debt, unsecured debt that comes with a higher interest rate should be targeted to pay first. Of course, you should also pay the monthly minimum payment on secured debt. When targeting which debt to pay off first, the loan with the highest interest rate should be paid off first. Prioritizing and staying with the game plan are important to become debt free sooner.